If you are a crane manufacturer AAIS has crews and technicians dedicated to support all of your crane needs. AAIS offers services that cover any inspection, installation, service, or removal of overhead cranes. We partner with some of the largest overhead crane companies in the world on all kinds of tasks. Whether it be installing or repairing runways, major structural repairs, maintenance or general crane service AAIS has the experience. Below you will find a comprehensive list of crane services, each of which AAIS strives to provides a quality beyond industry standards. The great thing about AAIS is that we can expertly help you fill your needs when you have large contracts or a temporary overflow without you needing to hire extra employees. Contact us today to find out how we can help you with your next big overhead crane project. At AAIS, we understand the urgency you face when trying to complete a job during a specified shutdown or outage. We can provide the workers you need in order to help you achieve your goal finishing your project correctly within the time frame you've promised. 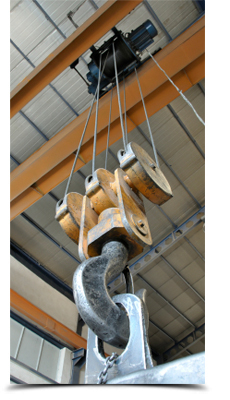 We work with conveyor companies, overhead crane companies, log yard crane companies and others. If you need help you can trust AAIS to do the job right contact AAIS and rest easy at night.